and support us and who add to our daily cape mädchen universe. Funnily enough, Hannah and I first met some years ago when she interviewed me for Gründerszene. Since then we could not stop talking, and Hannah is a journalist with all her heart and soul. She is extremely open-minded, interested in every topic and comes up with the best ideas. Every conversation with her is a gain. The fact that she, who always looks amazing, does not give fashion too much importance makes her even more likable. And to top it all, she wore a cape on her own wedding day. It is nice to know that the cape maedchen accompanies Hannah through her life. What prompts you to buy fashion? Usually it is some kind of occasion, for example a conference or birthday party. I also like to bring something back from a holiday: just now I have bought a pair of sandals in Verona. there are more important things"
What message do you want to send with your wardrobe? I like beautiful clothes, but there are more important things than fashion for me. How did your career start? I studied at the Deutsche Journalistenschule ( a renowned German journalism school) in Munich. After I graduated I was offered a permanent role at the, at the time still small, start up-magazine Gründerszene. I took the job and have never regretted it. How do you feel as a woman in your work environment? Very comfortable. Our editorial office is made up of both males and females working closely together, gender barely plays a role. What have you recently changed in your life? I have recently had a baby. Probably the best change one can make! What is currently on your mind? Since I have become a mother for the very first time, I am battling the usual questions: How do I combine having a child and a career? Is having a home office practical or annoying? What does the perfect form of child care look like? 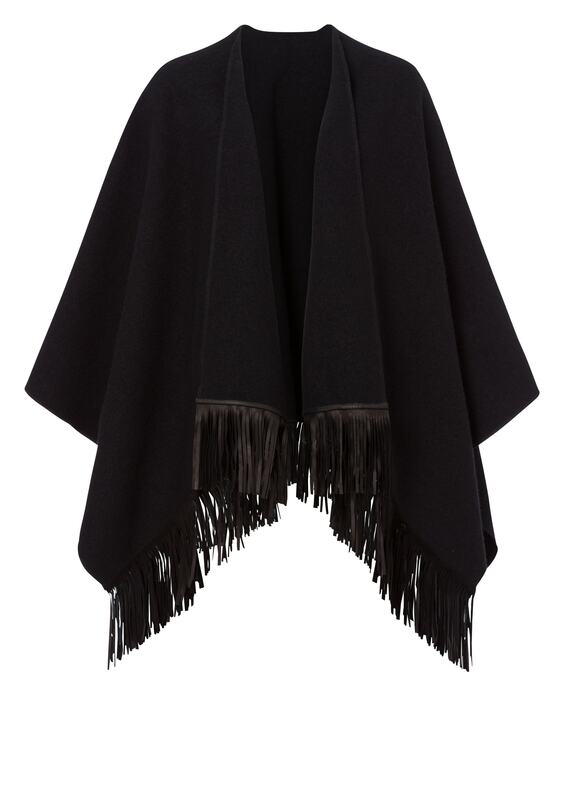 Which cape-mächen cape is the cape for you? I often wear the dark blue- dark green cape or my light-coloured Texas Cape. How do you like to style it? During the winter with jeans and boots. During the summer paired with a dress and sandals. When do you wear it? All the time. When it is too cold in the office or when I have dinner outside with friends. I even wore a cape on the day of my wedding. What feeling do you connect with the cape? Flexibility. In my everyday life I find it a hassle having to think about fashion, and I’m often out and about all day. And if gets cold, the cape is there to save me. What would you add to our cape collection? I would like a cape made of a very fine and patterned fabric. That would be a good addition to my mainly black, white and dark-blue stocked wardrobe. How would you describe your fashion style? I have never thought about that. Probably simple, but feminine. Rather French. I would never wear a t-shirt or jumper featuring a big label. I even find small logos on purses very unnecessary. What inspires you? I have good ideas when I am travelling. I am also inspired by my girlfriends, as most of them have great tastes and exciting careers. Which material/fabric makes you happy? Cotton, because of its cooling quality and how easy it is to wash. Also leather, because the more you wear it the better it looks. Which book is currently on your bedside table and why? I am going to the south of France this summer, that’s why I have just re-read „Bonjour Tristesse“. I find Francoise Sagan fascinating. Next, I want to read „Swing Time“ by Zadie Smith as well as the last book of the Ferrante-series. 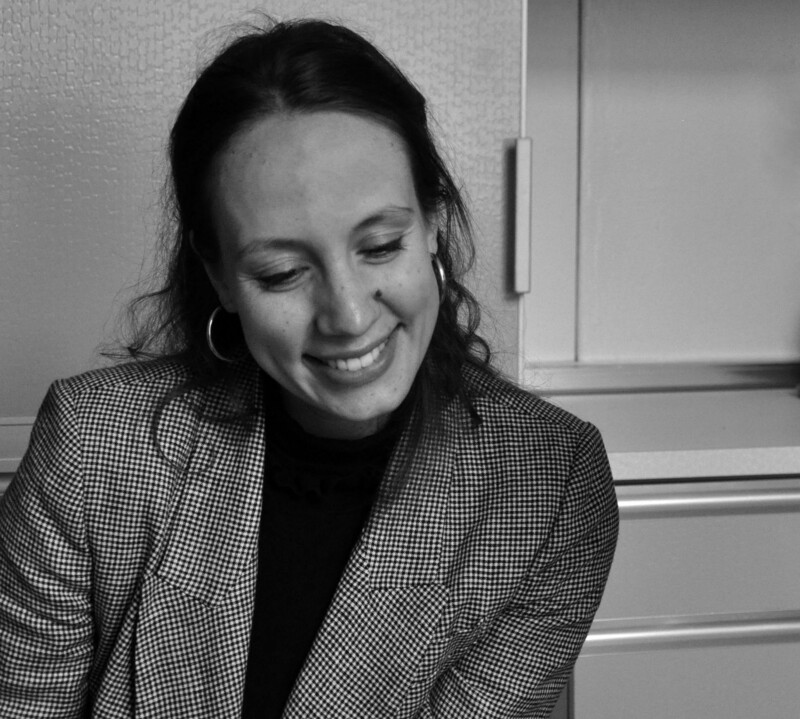 Donata does more than pose for us in full glory in our current photo series, she also manages to find time for her fashion- and design management studies besides her successful modelling career. Lucky for us she lives in Berlin and can drop in for fittings in between lectures. On top of that she is unpretentious and the first one to roll up her sleeves and help at shootings- what can we say, a classic countryside child. We have been eyeing her for a long time now, have been in touch back and forth and are very happy that she is now officially a cape mädchen! Who inspires you? I get my inspiration from the streets of Berlin. It is a place where every day you see a huge variety of styles. from the streets of Berlin"
How did your career start? I was approached by a model agent for the first time when I was 13 years old, and since the age of 15 I model regularly and internationally besides my studies at school and now university. How do you feel being a woman affects you in your work environment? The fashion world is dominated by females in many areas already. Successful and strong women are not the exception - one of the key reasons why I feel so comfortable here. What is happening in your life right now? Currently I am planning my upcoming study abroad semester in New York, and I really look forward to it! Which cape-mädchen Cape is yours and why? Cape Dallas! It is versatile and the warm colours are flattering for my skin tone. How do you combine it? I love contrasts, so I combine it with darker pieces. When do you wear it? The cape is very flexible. In the winter I like to wear it as a warming scarf, and for a fancy event I wear it over a dress. "The cape is very flexible." 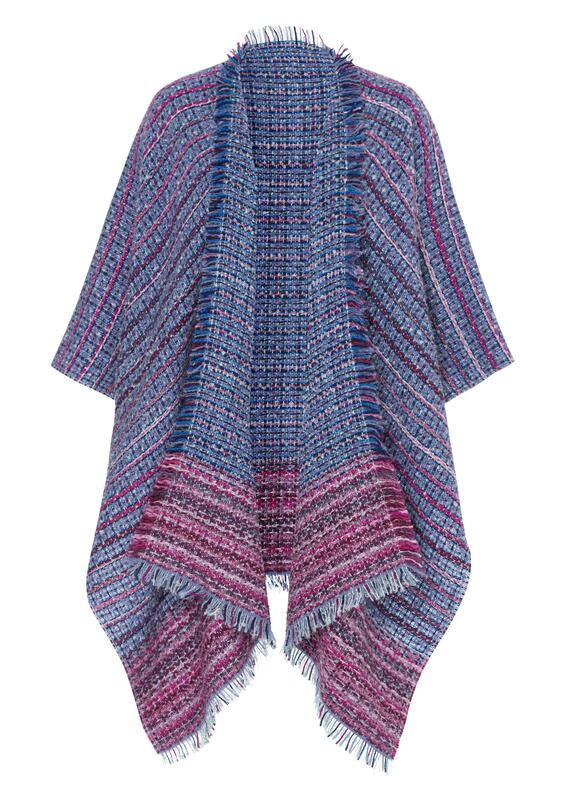 What would you like to add to our Cape Mädchen collection? 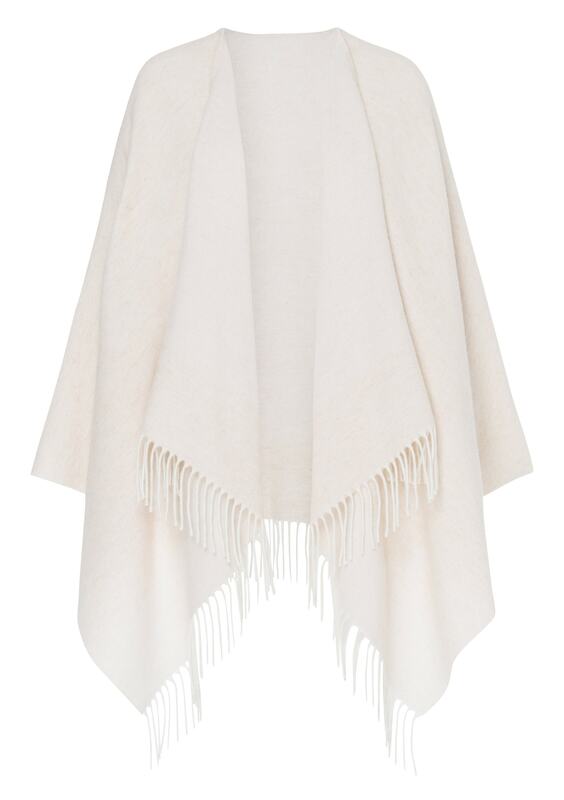 It would be great to have a summer fabric, such as linen- then one would never have to go without the Cape Mädchen, regardless of the season. How would you describe your fashion style? Casual, relaxed and with a touch of retro. What message do you want to send with you wardrobe? Every day something new! My wardrobe reflects my mood of the day. Which object/material/’something’ makes you happy or fascinates you at the moment? Right now I am in love with everything velvet! sublime on her, just take a look here. Trixi is part of das cape mädchen since we launched the collection Großstadtindianer. 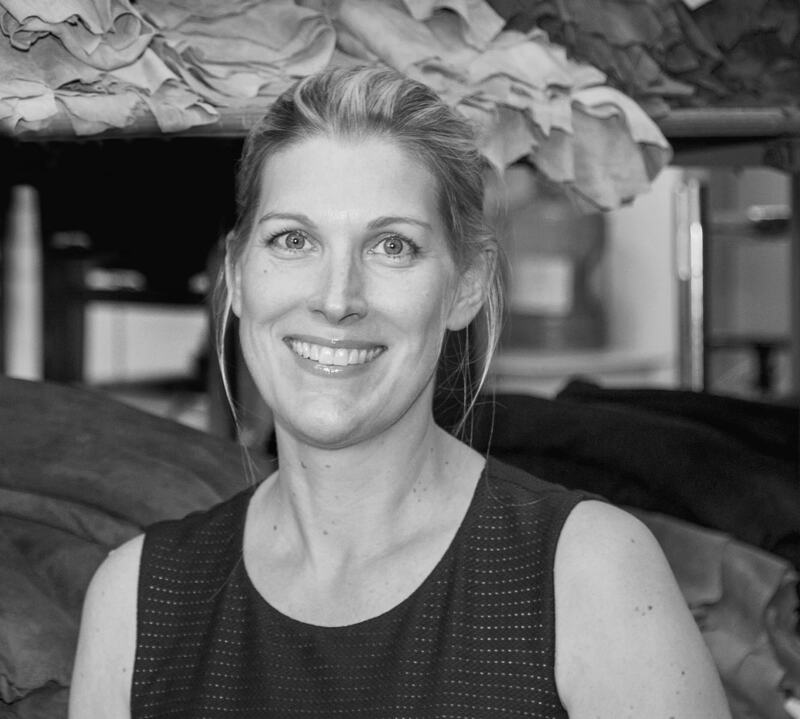 She is responsible for the fantastic quality of its leather details, as Trixi is leading the business of Leder Fauck in third generation. She is a great businesswoman, and sometimes we a lucky enough to have a chat and learn many things. Most importantly, Trixi is an impressive role model for all women who find themselves in male-dominated work environments. And since she has become a mother, she uses our capes even more than before. Which item/material/”something” makes you happy or fascinates you at the moment? Definitely leather and all soft, skin-flattering materials. I dislike clothing that is too tight and materials that scratch and prickle. How did your career start? I have learned two crafts. Right after school I studied media design and worked for agencies. My strength was within project management; hence I was drawn into the family-business, where I learned whole sales and external trade. As the managing director, I have to work within creative as well as business sectors, I choose the collection for our range of goods and keep in contact with suppliers, I submit offers, am involved in marketing strategies as well as staff issues. Additionally I advise bag-labels with their collections and then oversee their productions. I had my own label for six years, but today I prefer production for other firms. How do you feel being woman in your work environment? By now, I feel good being a woman in my work field. Fifteen years ago times were different, many customers insisted to only speak to my father, the man of the business. These days, many customers do not differentiate between a male or female boss. I see that as a great progress for the emancipation of women. I also think I have gained more self-confidence and do not put up with as much as I used to. What is your focus at this time? I’m focusing on finding a good balance between tradition and progress for my business. Commerce as we know it is declining, we have to find new ways to stay attractive to our customers, e.g. through innovative products and new possibilities in shopping with emphasis on service. That is not easy in the old leather business, but it makes for an interesting challenge. My father is not active in the business anymore for some time now, and is now pulling out completely. Since I am a mother my husband is supporting me and brings along a lot of fresh energy. Paired with my creativity we are developing many new ideas at the moment, which will hopefully bring our business success in the future. Which cape mädchen-Cape is your favorite and why? The Großstadtindianer Cape in black for the evening and the Love Cape as well as two La Plus Belle du Quartier in orange and blue for the daytime. How do you combine it? Being from the leather industry, I do especially like a cape with leather details. It is a simple yet exceptional accessory, especially during cold nights with tight trousers or skirts. 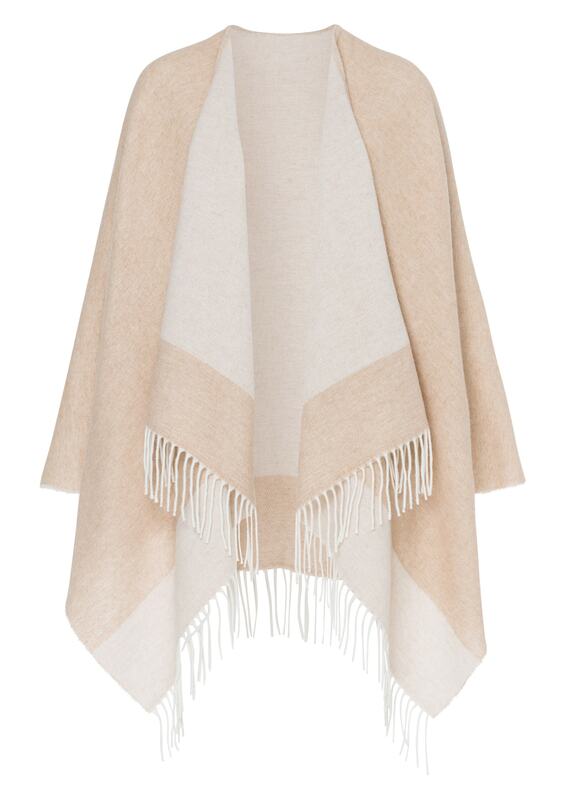 The reversible, pastel-coloured capes from soft wool are perfect with a pair of denims. When do you wear it? I especially like wearing it when travelling to keep warm-and my little son too! They protect perfectly against cold draught in the plane or car. My husband and I often snuggle up together in a cape on our balcony. How does wearing a cape make you feel? I have a sense of comfort and airiness that jackets usually do not give me. What message do you want to send with your wardrobe? I want to show that I have found my own style and don’t chase after all the current trends. Though actually, my style at 17 years old was not very different from today being 40. I always liked clear-cut items in understated colour, not so much playful looks with frills and jazzy colours. Then I wouldn’t feel like myself. How would you describe your style? My style is a mix of modern classics, such as leather leggings with a denim shirt and a thin cashmere- cardigan in plain colours, which I like to combine with a colourful accessory such as a cape for example, or a scarf, jewellery, belt etc. I think a beautiful high-quality belt can elevate many looks, even more so than a pair of shoes. My high heels are locked inside the closet at the moment anyway as I have a foot injury. So since then I substituted shoes for belts, which also work well for combinations with capes. What would you add to our cape collection? A more lightweight cape than what is offered now, that is more suitable for summer time. Maybe also adding a clasp for the shoulder. I move around a lot and always fasten my cape at the shoulder to stay put. Who inspires you? Fashion icons from the 1950s-70s, such as Grace Kelly, Catherine Deneuve and a mature Romy Schneider. Nowadays, I like the clear-cut style of Claire Underwood (Robin Wright) in the TV series “House of Cards”. You can find the black Cape Großstadtindianer Patti, who accompanies Trixi in the evenings, right here. By the way, the leather fringes are her own produce! Anemone is the cape mädchen of the first hour. Not only was she the face of our label for five years, but she also influenced our development a lot-which by the way she denies out of modesty: Muse and strident critic, the most unpretentious model in general, loyal friend as well as a nearly qualified medical practitioner. What message do you want to send through your wardrobe? The message is actually more for myself than for the outside. My wardrobe should make me feel good. As long as I feel comfortable in my skin and clothes I will have the best charisma I can have. How did your career kick off? Well, you can’t really call it a career with me yet, as I am still studying. I first studied business studies, and afterwards I started medicine. I really wanted to study something in science after business and initially thought about machine engineering. I owe my mother the idea with medicine. She suggested that it is more in my nature to learn science through humans, and she turned out to be right with that. How do you feel being a woman in your work environment? The medical environment is getting increasingly more female, and I think that 60% of my classmates are women. Hence I do not feel that I have to fight for recognition, as we make up the majority anyway. However, many careers within a clinic are still only compatible with more effort from a family. In my opinion this leads to many women to stay away from clinics. What is your focus at the moment? The thought of what will happen after my studies. And of course my big exam this autumn. That is my written final examination of my studies and of the last things I have to master before I can start my license. Which cape mädchen-Cape is your favourite and why? The light blue cape from an older La Plus Belle du Quartier-collection. I like the colour, it’s very fresh and doesn’t make me pale, even in winter. It matches my eye-colour as well, they go well together. How do you combine it? Ideally with a pair of jeans and Supergas or flats. Alternatively with black trousers if I’m going for something more chic. When do you wear it? I often choose the cape when I do not really know if I need a jacket or rather something more light. I feel well-dressed but not too heavy. I also love it for travelling. especially during long train rides the cape is so cosy! How does the cape make you feel? The cape gives me a sense of freedom. Jackets can be so tight and restrictive, especially winter coats. When I wear the cape, I feel elegant, but as comfortable as in my favourite jumper. "The cape gives me a sense of freedom." How would you enhance our current collection? I would definitely add a cycling-friendly version! Maybe a model with sleeves and the possibility to add a belt around the waist. I am a student and cycle to university every day, and it would be great to wear the cape then too. How would you describe your fashion style? Style might be a bit exaggerated for me, haha. I like wearing simple things with clear cuts. More on the classic side, but that does not mean that I cannot wear something more exciting sometimes. As a student I want my clothes to be practical and comfortable, in order to make it through daylong study session in the library. But I also love dresses! Who inspires you? It used to definitely be Audrey Hepburn. No other person embodies such elegance. Today I just try to remember that when I see an outfit on the street or in a magazine that I like. Anemone’s light blue Cape is from an older La Plus Belle du Quartier collection, however we have loads more colours for you in stock here. Yvonne simply had to mark the beginning of this series. Not only is she a great friend and host, who allowed us to have shootings at her place. She is also a brilliant contemporary artist who shows her “Divine Beasts” in places such as the Lehmbruck Museum in Duisburg. Fascinating objects, somewhere between scientific reality and mythical creatures make up her work and leave a lasting impression. On top of that she is a very open-minded person who agreed right away to participate here! How did your career start? That is difficult to answer. How do you measure a career process? As an artist you find yourself in a permanent process. You are so engrossed with your world that you can get lost there. But I do register an interest from the outside world in my work. That is very nice. How do you feel as a woman in your work environment? I think that you have to be very stubborn as a woman in the art world. This is only possible if you work from within yourself. Firstly, this means that you have to stay true to yourself. Everything that leaves this path will soon reveal itself. Unfortunately, in general women are still paid less when selling artwork. And most featured artists in exhibitions are still men. Many of my female colleagues have left the arts after several years, and not because they ran out of good ideas. I think that is very sad. 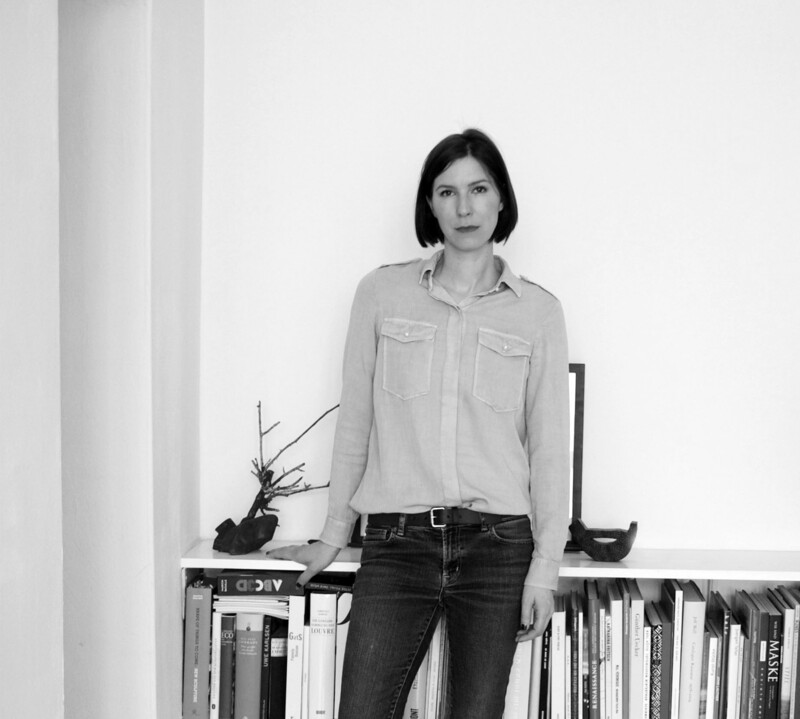 "you have to be very stubborn as a woman in the art world." What is your focus at the moment? I always have many things going on at once. I usually work on 4-5 projects simultaneously. The development stages of my sculptures are very long and all of my work is of equal importance to me. Besides work I find myself travelling a lot. I like getting to know foreign cultures and their peculiarities. But I often ask myself how many stages you have to go though as a human to really get somewhere where you want to stay. Which cape mädchen cape is your favorite and why? Cape COCO Bleu. I like Bouclé fabrics. Maybe it is because my grandmother was a couture tailor during the 1950’s. She died very young, but her sketches and fabric samples remained. They transmit an air of great elegance and timelessness to me. How do you combine your cape? During the day casually with a pair of jeans and T-Shirt and in the evening with black lamb leather- trousers and a silk top. How does the Cape make you feel? It gives me comfort and warmth. How would you enhance our current cape collection? With imaginatively embroidered leather-capes. How would you describe your fashion style? That really depends on the occasion. In my work studio I wear my blue work overall. In the late afternoon in Kreuzberg/Mitte I prefer street style and in the evenings High Fashion. Who inspires you? There is no individual person who exclusively inspires me. But I wished that Alexander McQueen were still alive. What he created was wearable art. Which item/material/”something” makes you happy or fascinates you at the moment? Definitely leather- I also use it in my sculptures. I just finished a sculpture series made of riding saddles. 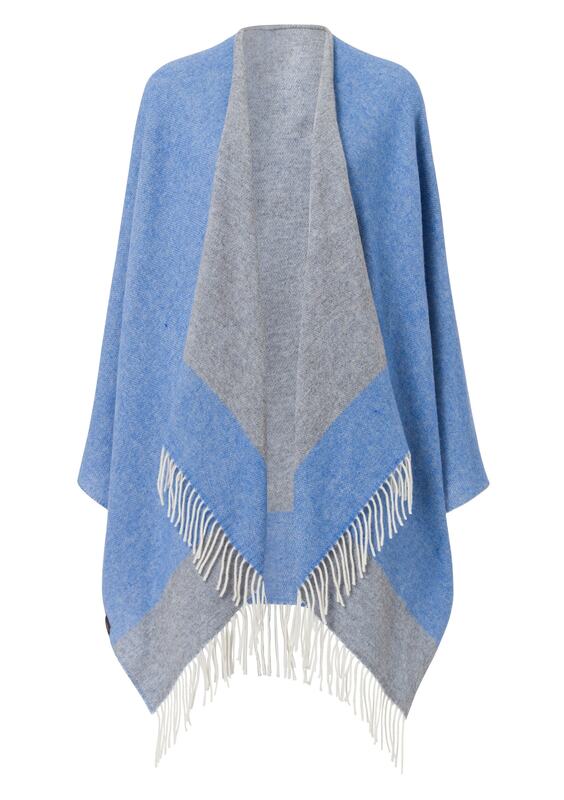 Yvonne combines her Cape, Coco Bleu, casually with a pair of denims or sometimes chic with leather trousers. If you want to join her, click here.